So, I’m working on a potential job for an unnamed part who might or might not have a penchant for biting off small animal heads, and so I’ve been spending a lot of time doing research. But I thought it was rubber! The research in this case is for what are apparently called spreadsheet games. These are games like Mafia Wars and Farmville. A spreadsheet game is simply one where the whole logic of the game could be easily plotted in a spreadsheet. By logic, of course, I mean the way that the game defines user interactions. A computer game is generally understood primarily as a one to one interaction, you being the one and the other one being the computer. This is in contrast to, for example, a board game , where the interaction is shared evenly between you and the other players evenly, or a team-based interaction like a soccer match. Now, some of you are thinking, wait – these are social games – you play with teams – you recruit your friends, you work together to shared goals! This is, however, akin to saying your dakimajura love is as real as anyone else’s. Here’s why: The basis of a one-to-many or a team game is temporal – you can’t have a soccer game an hour after the rest of your team has gone home. You can’t play Pictionary after everyone’s gone to sleep. Sure, you could set up a web-cam and play Pictionary, or a multisensory-motor extender system (with cleats) to join the soccer game over in Japan, but you can’t call it playing with the rest of the crew if the crew is still feeding their many, many cats. No, in fact, most computer games, and pertinent to this conversation, all spreadsheet games are one to one. Forget Capture the Flag, Trouble, and chess. Think about them as a game of Pong. Pong as in, you make your move, the computer responds. You respond. The computer responds. Pong. This is an important paradigm understanding. Because you have to start by thinking about how advanced and how complex a system like Farmville is – the kind of programming and artwork and even text that’s put into it. You then have to think about the millions (yes) of people who play these games and ask yourself – wait – these people can’t all be mindless idiots. (Most, sure. But not all.) You have to take all the intelligence and money and creativity that went into this situation and scrap all of it. It’s Pong. But you have to make strategic decisions! Like, which property should I buy with all these points I made? Which jop should I take? How should I feed my animals? I’m not just hitting a paddle to stop a virtual ping-pong ball! In order to truly appreciate the way a spreadsheet game works, you have to think about what happens if you choose a different property, feed your animals differently. Now, just like in Pong, you have to do something, or else the ball gets past you. And while hitting it just right one way will return it in another – and you might increase or decrease your chances of getting past your virtual foe – at the end of the day, you generally just do your best to not get it past you. Isn’t that why you feed your little farm animals? You can pretend you have made a meaningful decision, but have you really understood the consequences? Do you really have access to all the variables? In truth, your decisions have just about as much behind them as you response in Pong takes into account Euclidian Geometry. But there’s a story! This is a point I will somewhat concede. Whether it’s a time of transition for the Mafia underworld, or a great opportunity to build a new life in Farmville, these are in no way similar to the story that you’ve stumbled upon a rigid, magical two-dimensional ping-pong table with paddles that work hands-free. Right? I mean, it’s not like you could have just gone OUT and planted a garden, or chased away thugs… or picked up a paddle? See, what’s important to imagine is stretching out time. If Pong were meant to last for days, months, even years – wouldn’t you have eventually added a little more to it? What if every 10 points your paddle got a little bigger, but the computer’s side got a little faster? What if randomly, another ball could find its way onto the board just to keep you guessing? What if this guy showed up at 1,000 points? But I never know what’s going to happen next! Oh really? 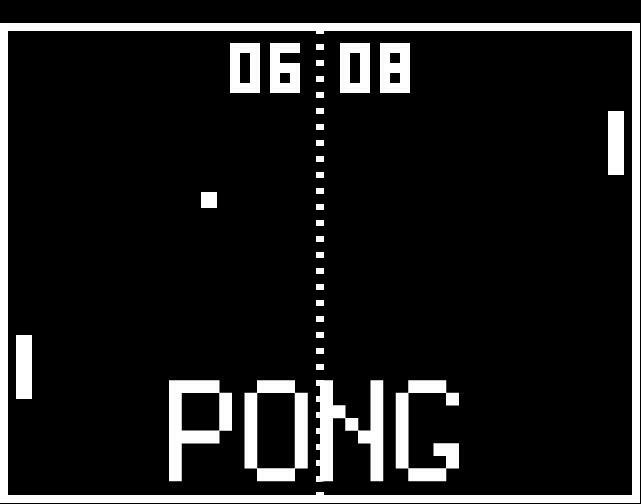 In pong, you’ve figured out that the 42 degree angle at which you’ve hit the left side of the table determines exactly where the… well, I guess you’re all that and a bag of loser-chips, Professor Nürdlame. And, since an object bouncing off at one angle will always bounce off at the complementary… you know what, shut up anyway. Well, that’s where we started back in the beginning with the whole spreadsheet thing. While it’s a lot more complex, you really do know exactly what happens if you upgrade the Pawn Shop in Mafia Wars. And while you can’t guess exactly what will happen when you face Don Dangerous (whose picture is actually her three-year-old daughter, thanks, Facebook) in a street brawl, you can figure it out. You have this much attack, they have this much defense – roll your little 8-sided die and… who’s the Dungeon-Master tonight again? Oh, the kid who lives in Mom’s basement? Sorry, where were we? So what’s your point? This is all I’m trying to get here as I start to slowly dissect these spreadsheet games – the interaction is actually deceptively simple. If you take away the story, it goes like this: Hit button, wait for semi-random response, hit next button. Feed your animal. Buy your gun. And… oh, you found a secret treasure – lucky you and what a funny coincidence that it happened just as you were getting bored. And this basic interaction is easy to understand on a very visceral level – ping… pong… ping… pong. And what we can do with this – this is the beauty of it – we can with very simple tools make it a ping-pong that you will do instead of checking your work or resuscitating that man’s heart over in the ICU. This entry was posted on Saturday, March 13th, 2010 at 10:40 am	and is filed under games, social networking, technology. You can follow any responses to this entry through the RSS 2.0 feed. Responses are currently closed, but you can trackback from your own site.